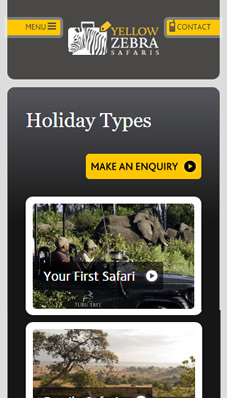 A high end luxury travel operator that wanted to build loyalty and customers, as well as improve their online conversions. 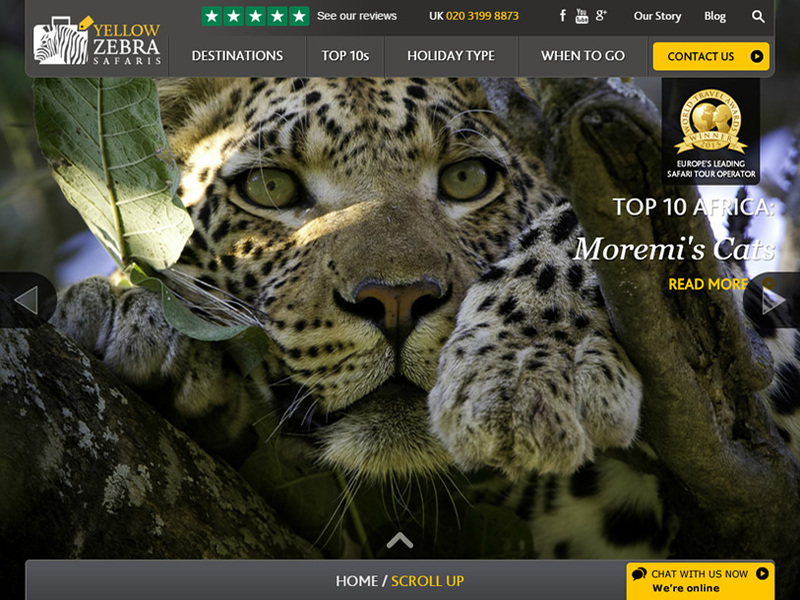 Our challenge was to create a brand that Yellow Zebra Safaris could be proud of and would resonate with their audience at all levels, while reinforcing their position of the organisation within the travel sector. By using data and insights we needed to convince their audience to stay on the website and engage with the brand, either by requesting more info or picking up the phone. A strategy led by research. Who are the audience and what do they want? What user journeys have they been undertaking? How can we improve them? How do they want to search for information? And finally, how do they get in touch? We worked with the client to release the website in iterations, testing the content and user journeys at every step. The insights we gathered from the split testing allowed us to tweak and perfect the user journey. By the end of the project we had development of all elements associated with a brand identity, including a logo, colour palette, tone of voice, typography and font usage, copy rules and imagery strategy. We developed a stunning looking website that made the most of the fantastic images which was key in selling the dream. We also completed split testing for the design and copy of the site to maximise conversion rates that surpassed the clients expectations and made both teams feel warm and fuzzy. Growing holiday park revenue by truly understanding the sales pattern for holiday park bookings. We took on the challenge of effectively planning, implementing and evaluating business performance.